Ramadan-ul-Mubarak is a heavenly month, queued at the 9thspot, in the order of the Islamic calendar. It is an Islamic month in which, Muslim Ummah is encouraged to practice and exercise self-control. Fasting in Ramadan-ul-Mubarak, we can recover health, only if attended in an appropriate way. Monitor our fasting tips and make life-style reforms to get the best out of this Ramadan-ul-Mubarak. Let this time of year, be a time of revival in spirit, soul and body. Fasting in Ramadan carries a high-risk of dehydration, as nutrients are limited from early sunrise till sunset. In addition for fasting, Muslims are encouraged to wake-up very early to have their pre-dawn meal Sahari, but please remember to consume the right type of food and in the right quantity is the key. According to a popular saying, “breakfast is a very important meal of the day” and in Ramadan-ul-Mubarak, it turns out to be even more significant! Avoiding Sahari prolongs the abstaining period, as our body relies on the earlier meal to provide all the nutrients and liveliness till Iftar. Due to lengthier hours of fasting, we are expected to feel dehydrated and exhausted throughout the day. Furthermore, missing Sahari also encourages overeating in Iftar, which can reason an unhealthy digestive system. Fajar Azaan is just for Salah (prayers), not for fasting; therefore Sahari must not be delayed to such a point that the time of dawn Subh-e-Sadiq appears to start. A number of Muslims keep eating even after dawn, in progress of Azaan sayings: Pay attention! This act does not close the fast; in fact it leaves the fast absolutely open and makes it null and void. As a result you will gain nothing, but will have to bear thirst and hunger the entire day. Evenhanded, as it is not suitable to escape Sahari, over-eating can also harm your body, while opening the fast. Iftar must be a well-balanced healthy diet, and not an extensive meal! Over-eating and too much intake of large calories food, can affect the digestive system. People usually eat to their full in both Sahari and Iftar times and come across constipation and high-blood pressure. It is not rare, about fasting Muslims to compensate themselves with fried pakoraas, samosaas, rolls, kacchoriyaan, and other deep fried sticky dishes which are considered essential at Iftar meals. Even though these foodstuffs seem good to eat, but for a short ride, they can make abstaining the next day more challenging. Instead, we should try foodstuffs from all light food groups, as well as fruits and vegetables. Eating fiber rich food, in Ramadan-ul-Mubarak is also acceptable, as they are digested easily than junk food. “Health is wealth” is a very popular saying in our lifecycle, which is time and again referred by our elders. Physical health is very essential for our natural life and to acquire that we need to eat in a measured style. Use of liquid refreshment, as much as possible, amid Iftar meal and Sahari pre-dawn meal, can reduce the risk of dehydration in fasting. Liquids include juices, milk, soft drinks and thirst-quenchers, but water is the best option, ideally, we have to also cut down on caffeinated drinks like tea, coffee and Colas as these drinks promote liquid loss. A well-secure intake is extremely vital for a healthy fast, in Ramadan-ul-Mubarak! Blessed month of Ramadan-ul-Mubarak approached with the note of endurance, virtues and serving the deprived. Eating according to limit and abstaining from hefty-oiled diet is not the directive of Almighty Allah, but is the designed need of a human digestive system. Fasting not only safeguards us from misconducts but also protects us from diseases. By taking these precautionary measures we can stay healthy, so thank Almighty Allah for good health and celebrate Eid-ul-Fitar in a dazzling mode. Dear brothers and sisters of Muslim Ummah! Inshallah we are about to host very soon, a generous and an honorable guest; a visitor, who stopovers once in a year and brings all sorts of goodness and happiness, along with the widespread mercy and forgiveness of Gracious Almighty. Imagine a visitor passing the Aroma of Heavens, nearing us towards Gracious Almighty and His promised (Jannah) Paradise. Ramadan-ul-Mubarak certainly, trying to driving us away from Hell fire, well-known as the month of Quran, mercy, forgiveness, praying at nights, Charity giving month, solidarity, mutual help and the month of all blessings. In Islam Muslims are advised to be kind and generous towards the guest and what if the visitor is the best guest, what are we supposed to do, think? Should we exert ourselves in generosity, which is a sign of good conduct and great worship or should we just ignore. Response! Be thankful for the immense mercy of Gracious Almighty upon us, that He made us Muslims and extended our lives to welcome the most honorable guest. Therefore, be thankful and grateful to Gracious Almighty, for allowing us to witness Ramadan-ul-Mubarak and also try to please Him as much as possible during this remarkable month. Muslims fast why? It is a human persona to enquire and to speculate why things happen. Muslims ensure things to please Gracious Almighty, and we can please Him only by submitting and practicing Islam. As a result, in response to the query, why do we fast?, we answer back, that it is a directive and a clear order from Gracious Almighty upon us and we have no other choice but to obey Gracious Almighty and gratify Him with Love and Fear at the same time. Islam means submission to Gracious Almighty, we have no other choice, but to surrender our-selves to Gracious Almighty and follow His orders. It is from the mercy of Gracious Almighty toward us, that though He recommended us to fast and presented us with the Virtuous of Fasting in Ramadan hereafter. After, we understand the Importance of the Blessed month of Ramadan and what success it can lead to, we need to put all our energies in carrying out fasting in the finest way possible. Since fasting is worship, we must do it solely for Gracious Almighty’s sake, and remember other intentions are not accepted, further than pleasing Gracious Almighty and seeking His forgiveness with sincerity. Deprived of a true intention, no deed is of any worth in the Hereafter. (1) (Al-Jāmi’-uṣ-Ṣaghīr, pp. 146, Ḥadīš 2415) from the 1st page of the book “Blessings of Ramadan” a chapter of (Faizan-e-Sunnat). (3) [Kanz-ul-Īmān (Translation of Quran)] (Part 2, Sūraĥ Baqaraĥ, verse 185) from the 2nd page of the book “Blessings of Ramadan” a chapter of (Faizan-e-Sunnat). (4) (Shu’ab-ul-Īmān, pp. 314, vol. 3, Ḥadīš 3635) from the 3rd page of the book “Blessings of Ramadan” a chapter of (Faizan-e-Sunnat). Giving charity and donating are qualities, which Gracious Almighty Allah loves for Muslims to have. He is the most Generous and Benevolent of all; especially His Generosity multiplies in Ramadan. In the same way, the Prophet’s kindness also increases in Ramadan-ul-Mubarak and definitely he is the character whose persona entails all the qualities mankind strives and vies for. The blessed month of Ramadan-ul-Mubarak, when Islamic followers worldwide fast in daylight hours and withhold themselves from other desires, furthermore is the month when Muslims donate to charity work, and contributions for the less privileged. A Unique door of Heaven that Gracious Almighty Allah has unlocked to His slaves to advance big recompenses in the month of Ramadan is through giving charity. Islam always recommends its followers to donate plenty of charities, mainly in the holy month of Ramadan-ul-Mubarak. The main reason why, the noble prophet of Gracious Almighty Allah gave an example to be swift in donating Alms in the blessed month of Ramadan-ul-Mubarak, is because the benefits and recompenses of donating Alms in this particular month is far better than the other months. The Creator of the entire Universe, Gracious Almighty Allah the Worshiped and Respected highly praises those who donate their money in charity and giving Alms. He promises ample of virtues and wonderful recompenses for them. There are many signs that express about the good luck, virtue, and decent position of the charity donors. Some of the advantages of giving Alms in the blessed month of Ramadan-ul-Mubarak are that during this month, people can easily perform good deeds, including donating Alms. The reason behindhand is that in other months, Muslims are easily seduced by devil “Satan”, who makes them abandon the good deeds. But in the blessed month of Ramadan-ul-Mubarak, Gracious Almighty Allah imprisons the devil “Satan” creating His slaves (Us) easier to perform good deeds. Muslims who donate charity in Ramadan-ul-Mubarak and increase their handouts therein have trailed the example of the holy Prophet and recognized the benefit of doing so. However, dear Islamic brothers and sisters it is outlawed according to Sharia to delay Zakat which should be paid before Ramadan-ul-Mubarak to attain its reward. Dear Islamic brothers and sisters, it is for our own success, that we spend time, money and efforts in donating Alms for the pleasure of Gracious Almighty Allah as the rewards of Charity is nothing but success, exclusively in the Hereafter: Since charity is not limited to donate money or part of our riches, every single Muslim as a result can get recompenses from Gracious Almighty Allah. Charity is an easy way to increase our faith and every Muslim whether deprived or prosperous can give charity at all times. Empty your Stomach to feed your Soul in Ramadan-ul-Mubarak! Many, many years ago, a man was chosen by Gracious Almighty, to title the crown of ultimate prophecy, of peace and became author of a novel religion. He was known as Muhammad, the beloved prophet of Gracious Almighty, who gave birth to Islam and was gifted with the blessed knowledge of Quran in the holy month, well-known today as Ramadan-ul-Mubarak. Fragrant Ramadan-ul-Mubarak is the 9th blessed month of the Islamic lunar calendar, which is an important month in the diary and also culture. Fasting in Ramadan-ul-Mubarak is compulsory (Farad) upon every healthy, mature, strong Muslim not traveling. As far as Muslim females are concerned, to fast they must not be menstruating or having post-childbirth bleeding, for they are ordered to make up the days later which they have missed. The key objective of not drinking and eating is to attain beneficial virtues and to become conscious of our Originator, growing awareness towards His Majesty, praising and worshiping His titles and features, evoking His sacred signs as the Gracious Almighty praises in the holy Quran. Throughout Ramadan while Muslims abstain from nutrients during day hours, they get together over foodstuff with friends and families in the evenings at (Aftar) timings. Refraining from nutrients has great value on the Muslims, fasting physically as well as spiritually. It is an exercise for self-restraint and control of the immoral self. Through fasting one absorbs how to detain one’s desires and releases person from the burden of wants and wishes. Refraining from nutrients also prompts us of the less privileged ones, the deprived and the penniless. It also lifts the spirits of the deprived by knowing that even Crowned heads have to starve for a while and on the other hand abstaining makes the rich understand and realize what the deprived go through time to time. Fasting moreover cleanses one’s soul and heart and is counseled to control and learn how to withhold from useless dialog, double-dealing and cheating. Even though fasting is supportive to health, it is primarily a way of self-ablution and self-control. By disconnecting oneself from knowing comforts, a fasting individual’s heart on the purpose of life becomes aware of the presence of Gracious Almighty (God). When the blessed month of Ramadan-ul-Mubarak knocks at our doors, cheers and delight yields among the Muslim Ummah because fragrant Ramadan-ul-Mubarak carries two of the most paramount gifts of Gracious Almighty, firstly the month of Ramadan-ul-Mubarak itself and secondly the celebration of the revelation of the Holy Quran. Ramadan-ul-Mubarak is not simply the month of abstaining but also the month in which the Holy Quran was revealed, as a guideline for mankind with clear “Signs” for guidance and the distinction amid right and wrong. Many wonders occurred in this wondrous month, the complete Quran was reveled down from Lawhay- Mahfooz in approximately 23 years; there is also that marvelous night “Layla-tul-Qadar” which is proclaimed superior than 1000 months. In this glorious month, the virtues of good deed are equivalent to the obligatory (fard) of a different month and with patience the reward of this tolerance is “Heaven” Jannah. Ramadan-ul-Mubarak teaches the message of compassion towards others and the daily bread of Muslims is improved. The month of Ramadan-ul-Mubarak is divided in phases, the 1st ten days reveal mercy of Gracious Almighty, 2nd ten days reveal forgiveness of Gracious Almighty and the 3rd and last ten days reveal safety from hell fire. Ramadan-ul-Mubarak helps in renewing our promise and reforming our relationship with our Almighty Creator. The holy month is a spring-tide season for decedents and virtues when righteousness flourishes thru the Muslim societies. This month stretches every Muslim an opportunity to brace his faith “Iman”, refine his soul and get rid of the sinful effects of the evil committed by him. 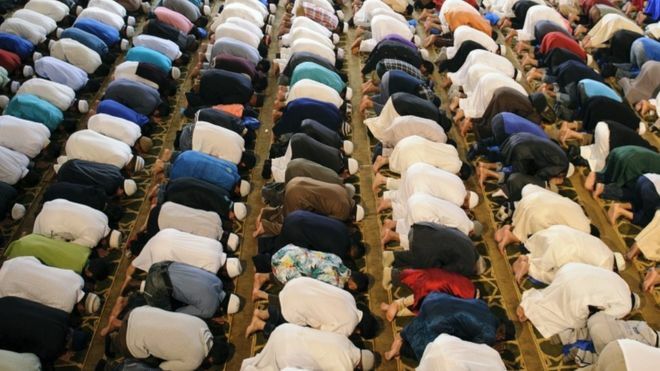 Dear Islamic brothers and sisters practicing Muslims assemble at mosques offering the nightly prayers consisting of 20 Rakaats called “Taraweeh” these prayers begin about 1 ½ hour after sunsets “Esha” prayers. Each night the Imam “leader in prayer” narrates an equal percentage of the Quran so that by the 27th night of Ramadan-ul-Mubarak the complete Quran can be narrated by the Imam “leader in prayer” from his remembrance. As the departure of our noble guest Ramadan-ul-Mubarak approaches, Muslim Ummah prepare for Eid ul-fitar, which brings Ramadan-ul-Mubarak on your doorstep. Eid day is a time of celebration, giving gifts, sharing foodstuff, gatherings with family members and winning a holiday. There are many reasons and wisdoms behind every single action in Islam, prayer “Salah” for example, is an everyday drill for cleansing the devotee and retelling them that they are associated in a community of Muslim believers. Whereas abstaining, is an annual drill inclosing all possible features for human excellence? It is an exercise for the body and soul, a rebirth of life, cheering the spirit of sacrificing and sharing. Self-Restraint (Taqwaah): Fasting inspires taqwaah or awareness of Gracious Almighty, by controlling two parts of the body, which are the basis reasons of human disgrace, the stomach and the private parts of the body. Heath Benefits: Abstaining also supports to right the problem of fatness and diabetes and other illnesses originated from upset stomach. Patience: Fasting helps in taming the heart, the soul, and the body on the qualities of patience, firmness and control in harsh conditions. 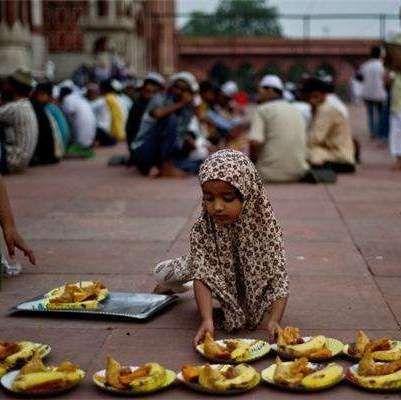 Social Benefits: Generally, fasting is an expression of unity with deprived families and the entire Muslim community. This is the time when rich face the experience of starving and feel the pain, which deprived feel in normal living conditions. Family Ties: Ramadan-ul-Mubarak helps Muslim families to gather and eat together at Iftaar and Sahree two times a day for the whole month. Fasting improves and strengthens relationship, as Ramadan is celebrated as the month of invitations, as family members and neighbors extend visits to have Iftaar together. Besides Fasting, the Muslims Ummah should emphasis on offering maximum prayers, so that more and more reward can be attained in this Blessed month. Hence, prayers need to be offered along with abstaining during Ramadan-ul-Mubarak as this is the only mean to seek forgiveness from Gracious Almighty and attain your desired objectives. Nawafill: Nawafill is the 3rd type of prayer Muslims can specially perform in Ramadan-ul-Mubarak; these are called additional prayers which Muslims can offer separately at any time of the day. Performing Nawafill prayers in Ramadan-ul-Mubarak are equivalent in virtuous to Obligatory prayers. Muslim Ummah in Ramadan can gain maximum sacred signs and forgiveness from Gracious Almighty Allah and seek compassion for whatever sins they have committed. Hence, prayers and supplications need to be safeguarded throughout the month, as these are the two aspects that can help a Muslim achieve the desired goals. (1)- (Surah Baqarah v. 186) this verse of the holy Quran is from surah Baqarah a (Madani-Surah), revealed in praise of the Muslim Ummah, in regards of supplication. 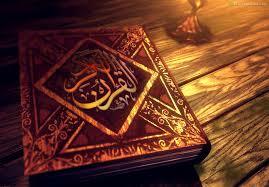 (2)-(Sunan Ibn Majah No. 1624) stanza of the sayings of the noble prophet regarding supplication and fasting in the month of Ramadan. The cradles of this rule can be mark out to his own unique talents. During his life, he revealed the noble personalities of character so strongly to the dynasty of the holy Prophet Muhammad to which he belongs. 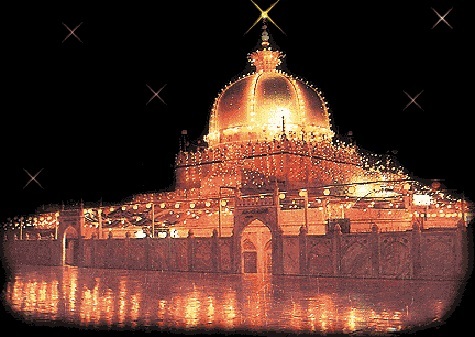 Hazrat Khuwaja Ghareeb Nawaz was inborn in Sanjaar, a rural community of khorsaan province in 537 Hijre Sanjaar which is situated in North of Qandhaar at the distance of 24 hours. The blessed dwelling of birth still remains. Khuwaja Moin-uddin Sahib received his initial training at the house while his father was an excessive scholarly gentleman. Khuwaja sahib learned the holy Quran (Koran) at the prompt age of 9 years and far ahead was referred to scholarly schools of Sanjaar, where he learnt Translation and Definition of the holy Quran (Koran) and hadiths in a very short period of time. He expanded profound awareness of these and many other subjects. In his early age, Khuwaja Sahib was very fond of the house of Saints and Holy personalities and showed a huge esteem for them. As to routine when Hazrat Khuwaja Sahib was irrigating the plants, a very famous Saint approached him who was Sheikh Ibrahim Qundoozi. When Khuwaja Sahib saw the old man coming towards him, he abandoned his labor and marched onward to welcome him and kissed his hands and took him under a tree and invited him to be seated under its shade. At that very moment Khuwaja Sahib had nothing for proposal but due to his attentiveness he got the idea to present grapes as it was the season of the particular fruit. The Spirit- Adoring Saint loved his sign and adored limited bits of grapes with desire. The educated Saint instantly recognized that the gifted kid is in pursuit of facts. So he took out a piece of greased loaf, crumpled it beneath his teeth and placed into Khwaja Sahib’s mouth as I mentioned earlier he had an excessive admiration and affection for Saints and Holy personalities, he instantly accepted it . Wow! All of a sudden, the whole realm gone astray its meaning and there was no barricade concerning him and Almighty Allah (God). By accepting of slice of greased loaf, he entered the divine realm. When he recovered his consciousness, he was left alone while Sheikh Ibrahim Qundoozi had occupied his way. The holy Saint had departed but it was impossible for Khuwaja Sahib to forget what he had witnessed in the spiritual life. He was very keen with a great desire to eyewitness the alike again and again. Once having sight of the divine-light over Sheikh Ibrahim Qundoozi, Hazrat Khuwaja Sahib was very impatient and his desire for gaining of facts more blew the fire of love and desire, so he sacrificed the land-dwelling and sorting out the holy name of Almighty Allah set-off towards the west in search of the true wisdom. Getting, this order, he was greatly delighted but marveled, as to wherever Ajmer-shareef was located. In the meantime, he was sanctified by witnessing the holy Prophet in dream and our noble prophet indicated him the urban, the fortress and the position of Ajmer-shareef. The convoy of Saints of Almighty Allah had arrived now on the borders of India (Hindustan). Sky-high peaks were in the approach but the faultless willpower of Khuwaja Sahib could not be delayed. Proclaiming the holy name of Almighty Allah, he marched onto mountains and later passing over the peaks, valleys and other difficulties he reached at the edging area of Punjab. At that time, when Khuwaja Sahib crosses the threshold, Raja Shahaab-uddin Ghaouri was conquered by Prith-vi-raj and his soldiers withdrawn to Ghazne. People replied to Khuwaja Sahib and his followers not to continue further as the Muslim Ruler had been conquered. Khuwaja Sahib and all the Saints of the clutch replied: ‘You may reliant on weapons but we have confidence in Almighty Allah.’ Therefore the convoy stretched at the bank of River-Ravi after going through Fort-Shadmaan and Multan-shareef. Hazrat Moin-uddin had at last reached his destination and by the grace of Almighty Allah and the blessings of the noble prophet started preaching there. He was in a short time proclaimed the saint and holy personality of Hind-shareef.